Admittedly, I'm not much of a candle gal. Don't get me wrong, I like candles and I love the way they make a house smell but I don't own very many and I'm always afraid to light the ones I do own for fear of "ruining" them. Up until this past weekend, I hadn't burned any in our new house but that all changed when I stumbled upon four limited edition soy candles at good ol' Tarjey. 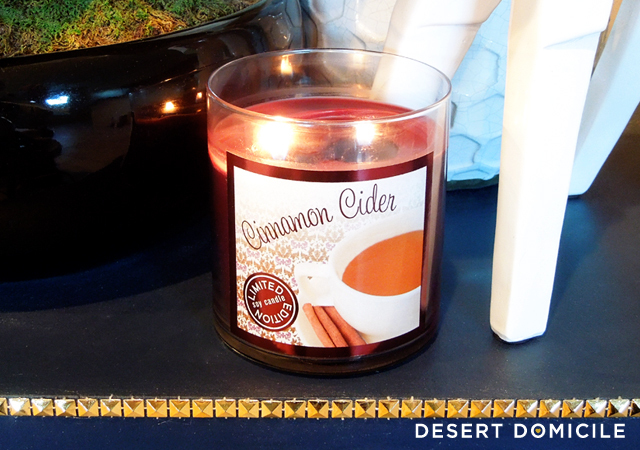 Cinnamon Cider pretty much says it all -- the candle smells like warm apple cider that has a hint of cinnamon in it. 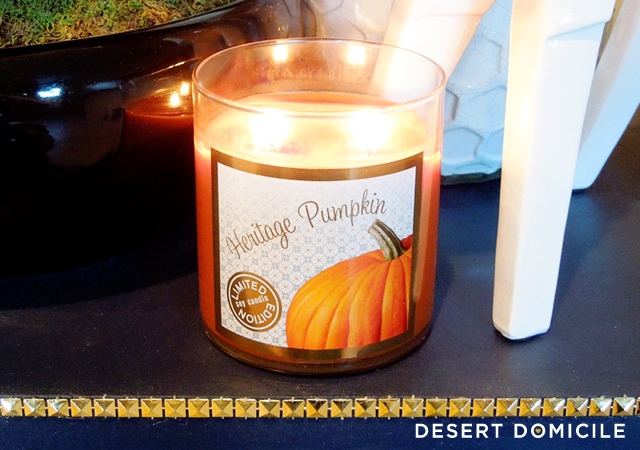 I like to burn this one with the Heritage Pumpkin one shown below because it makes our house smell like I've been baking all day! 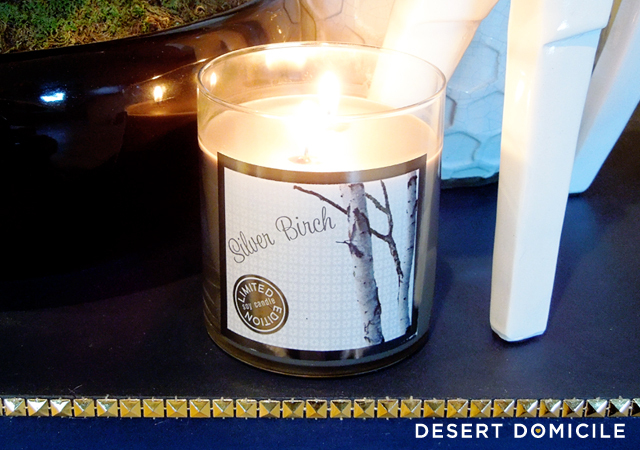 Silver Birch smells like a spicy campfire to me and reminds me of home (Chicago). It's a bit of a manly candle with it's rugged outdoorsy smell but I like it! Are you a candle guy/gal? 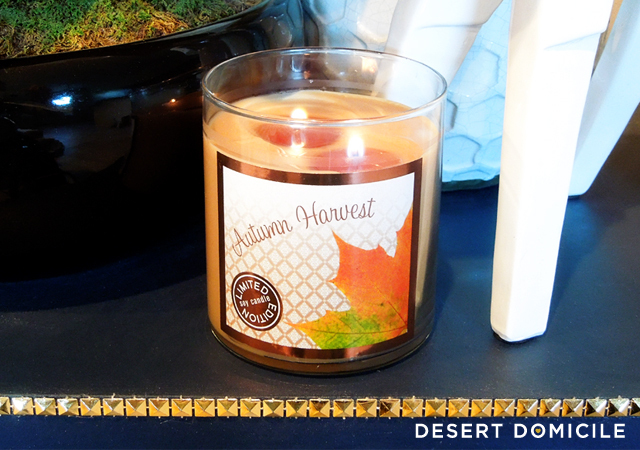 What are your favorite fall scents? I'm a sucker for candles in the fall! It makes everything seem so cozy. I love anything apple or cinnamon. Yankee has a fall candle called Autumn Leaves that is sooo good. I use to like candles but not so much anymore. They usually just collect dust now and I'm too afraid of light them for fear of us, the kids or the cats burning down the house! Do they still offer autumn harvest anywhere? Who makes it? Illume makes the candles and they're available at Target. The designs on the labels have changed but the scent is still the same!